Jacob Hanson is one amazing 12-year-old. He lives with Autism Spectrum Disorder and has many of the traits related to the spectrum. 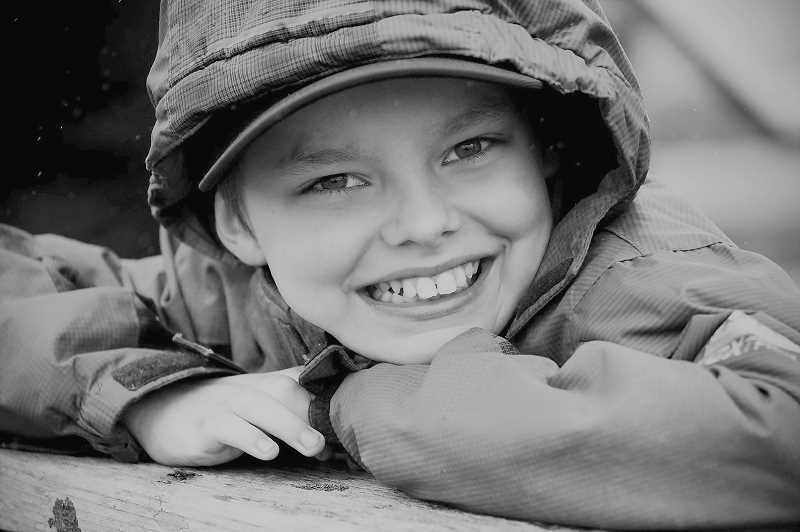 He was diagnosed at two and a half years of age when their family doctor told his parents that there was nothing they could do and someday Jacob would have to be institutionalized. When he was about three, his parents took him to see Dr. John Green in Oregon City who specializes in children with autism. "It was expensive because our insurance didn't cover the visits," Jacob's mom, Shayla Doering said. "But it was worth it." Dr. Green also suggested a dairy-free and gluten-free diet for Jacob, which helped. His mother said she was seeing improvement, but one special night in the wee hours of the morning, Shayla woke up to see Jacob staring at her. She said she looked at the clock and saw 3 a.m. Her first thought was 'go back to bed,' but Jacob looked at her and said, "Momma, I want bacon please." Shayla said they were nearly his first words. He had a few words he would use occasionally, such as "momma and no," but he had been non-verbal, and this was a complete sentence. "After I quit crying," Shayla said, "I got out of bed and we had bacon." When Jacob started school, he spent most of his time in the special education program. He didn't interact much with others—just a word here and there to let someone know what he needed. Mainstreaming was a gradual process. Shayla spent a lot of time volunteering at the school and tells the story of the day she went to have lunch with Jacob. "One third-grader asked me if I wasn't afraid I would get sick by sitting with Jacob," Shalya said. "I explained to him what autism was, and the kid got it. The next day there was no room for me at the table. That kid was sitting with Jacob and he had brought over all his friends to join them." The school showed the students a documentary on what it means to have and live with autism. The students took an interest in Jacob, and he began to take an interest in the students, staff, and faculty. He asked each one of his classmates who their favorite cartoon character was. He would find the image online, have it printed, cut it out and tape it to the classmate's desk. What made it more of a task was Jacob had to earn the reward points to use the printer at school. These were earned by completing school work and presenting progress in his education. Now Jacob is in Colton Middle School. "I like science. Cells are science, genes are science," Jacob said. "They make humans, plants, and animals." He also likes math. These subjects make sense to him, and his mother said without the Colton School District's inclusion program, she feels he would not be making the educational and social advances she sees in her son. Jacob not only participates more than before but has given a presentation in front of his class. According to an education website, "An inclusive classroom is a general education class in which students with and without disabilities learn together. It is the opposite of a special education classroom, where students with disabilities learn only with other students with disabilities." Jacob's hands are like fireworks, moving and opening and closing as he talks. "Do you know?" he will ask before telling you the answer and if you do know, he smiles big and asks another question. For Jacob and other special needs students in the inclusion program within the Colton School District, it is a team effort. CMS special education teacher Kendra Collins said, "The program includes our general education teachers, parents and educational assistants. The other students are always there and willing to help." Jacob, as do many of the special needs students, has a classroom mentor; and Jacob loves his. He has had the same educational assistant for his years in school. Nola has moved from the elementary school to the middle school with Jacob. She also works with other students during the day. "The inclusion program's benefits are clear and research shows inclusion benefits all students," Colton Middle School Principal Tori Hazelton said. "Strategies that work for diverse students work for everyone." Jacob's mother says she is beyond grateful for all of the changes that have been made since the school adopted the inclusion program. She says she is impressed with what the district and the entire special education program does. She said even the district superintendent, Koreen Barreras-Brown, along with Hazelton and Collins were at her son's IEP (Individual Education Program) meeting. "It was really cool," Shalya said. "They tell me what is actually going on. They support the special needs kids and their families really well. They show they care and the fact that the superintendent thinks it is important enough to take time out of her day to attend and be a part of the case management is impressive." Jacob is in general education classes for most of the day, taking time out for speech pathology, occupational therapy exercises and social communication skills. He is mainstreamed for more than 70 percent of each day. "The students are wonderful," Shayla said. "If we are at Colton Market and one of his classmates comes in, they will always come up and say hi and ask how he is doing." Jacob likes school; he likes his friends. He likes music and running, and he has a plan for his future. "I want to be a video producer," Jacob said. He has his goal to make a full-feature, animated video called Cartoon Land. He has chosen his cartoon cast, even down to who he wants to voice the characters. One of the subplots of his story has cartoon characters walking the red carpet, and he has enlisted his mother to help design and draw the formal wear for the video event. Jacob has already made several cartoon videos using the free website for students GoAnimate. The cloud-based animation service has now renamed as Vyond and has a yearly price tag of $299, which the family says is a little out of reach at the moment, but they are looking for other software he can use in the meantime. As Jacob says, "It'll be in Cartoon Land."